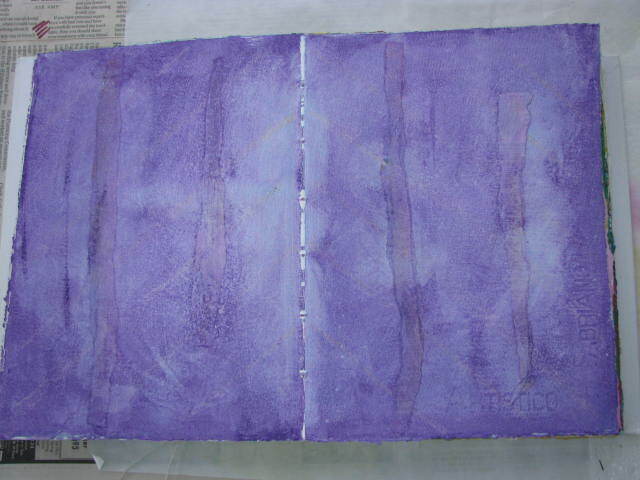 I painted over these two pages with watered down acrylic in purple. You can see some of the papers underneath that took more color than the actual background. Before I over painted this, it was a pink-ish color and when you add the purple on top, it has a warm overtone to it. Interesting textures. Following Sarah’s instructions, I pulled some old magazines and started to cut ~1″x1″ squares that represented certain things like a smile, a hand, numbers, something I like, and selected colors. Very cool and very interesting to see the patterns that appear. If you haven’t started your soul journal yet, why wait? Take a look at Sarah’s blog and get inspired. 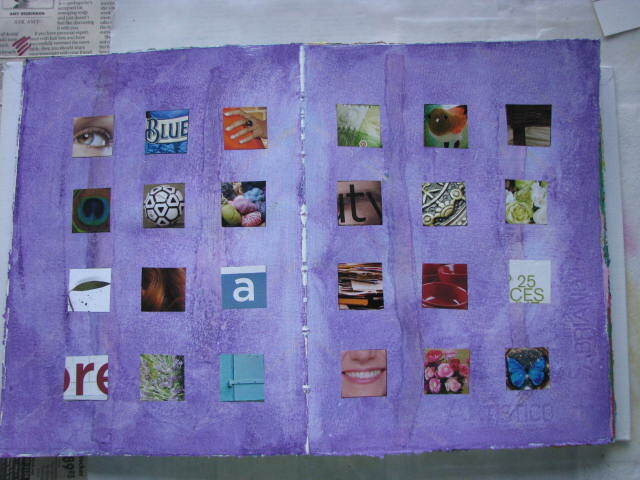 This entry was posted in 2008 and tagged art journal, collage. Bookmark the permalink.